THE WARREN REPORT: What Matters? You are at:Home»English»Columnists»THE WARREN REPORT: What Matters? Talking heads on both sides of the issue have conflicting perspectives on the recent shootings of unarmed black men and a 12-year-old boy in Cleveland by the police. Lengthy debate about grand jury procedures regarding these controversial cases has been aired 24/7 on cable news channels. The result being each side astonished at how the other side could reach the conclusions they did. Although each one of these cases is unique, there is one undeniable reality in all: Michael Brown, Eric Garner and Tamir Rice, the 12-year-old juvenile, were all unarmed African American males killed by white police officers. With Tamir, the video shows a police car racing up to the youth and with no time or space to defuse the situation, the police shoot and kill him. Police policy dictates that if an officer fears for his life, a deadly response is valid. The youth had a toy gun, and to be fair, it was not relayed to the police on site that the initial complaint reported that the gun was fake. With Eric Garner, the video shows six police officers arresting the suspect for selling loose cigarettes and during the altercation he dies. Did the officers cause Eric Garner’s death as reported by the coroner? Others claim that Mr. Garner’s other physical maladies were the cause of death. With Michael Brown, the evidence that was presented to the grand jury is being interpreted and analyzed by countless pundits and TV commentators. No matter whom you believe, the altercation started in the police car and carried on to the street, where Brown either had his hands up or was charging like a bull. Nonetheless and no matter the disputed realities, all the victims were black males, all were unarmed, all are dead at the hands of the police, and this has to stop! In the aftermath, demonstrations have taken place with thousands participating and comparisons are being made to the civil rights movement. Although inclement weather has dampened some of the protest activities, the sentiment has spread to the athletic fields and courts of play and even congressional staffers have protested in the nation’s capital. How long these demonstrations will persist remains to be seen, but the initial passions and anger may be the spark that starts a prairie fire. But as intense as the situation may seem, there have to be policy initiatives as a goal of these demonstrations. Even if the federal government steps in and initiates civil rights violations proceedings, there are other reforms that are needed. In other words, what are the demands of this movement? For many, at the core of all this is the lack of trust and confidence they have in the system’s ability to deliver justice. The grand jury process seems to be a problem in this regard. Based on the principle that their proceedings need to be confidential for the sake of objectivity and fairness, the grand juries in these cases have caused more suspicion and mistrust than confidence. First, grand jury processes differ from state to state, and there are no grand juries in half the states. In the Brown case, the prosecutor (local district attorney) made all the evidence presented available to the public. In the Garner case, none has been and it will take a court order to make it available. Other factors: The prosecutor provides the evidence and there is no judge, nor an attorney for the defense. Also, the prosecutor has the discretion to recommend an indictment or not. Another inherent problem is that the prosecutor (district attorney) is local, unless a special prosecutor is assigned, so in the case of a police shooting the prosecutor must deal with the very colleagues he or she works with on a daily basis. Consequently, the objectivity and fairness of the grand jury process is subject to debate. These factors make for a heightened level of mistrust and suspicion in communities where there are bad relations between the police and the communities they police. Obviously in all these controversial cases the actions and policies of the police have come under question. Being a police officer has got to be one of the toughest, most challenging jobs in society. But the demands have gone far beyond just law enforcement and the apprehending of criminals. The demonstrators have peacefully exercised their right to assemble and their freedom of speech. This is a time-honored tradition and is replicated around the world. Also, example after example has been shown where the demonstrators have self-policed themselves in this regard. The use of “legal” observers has been helpful for both the demonstrators and the police. As is the case with all successful social justice movements, retaining the high moral ground and winning the hearts and minds of the public is key. But some have gone beyond peaceful civil disobedience. Particularly in Ferguson, Mo., there were some other agendas in play. But as the president said, we are a society of rules and laws, and ultimately looting, property damage and violence have no place in this movement. Also, having your commute to or from work being disrupted for hours by demonstrators blocking traffic will be accepted and tolerated up to a point, but there are limits. Finely, at the end of the day there has to be an “end game.” What are the movement’s demands? Where does the movement go from here? What’s going on in our communities where young men of color in particular don’t have jobs or prospects for work, aren’t going to school, or where violence from within and without is plaguing our communities? As they say, this is just the tip of the iceberg. 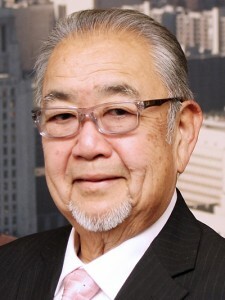 Warren Furutani has served as a member of the Los Angeles Unified School District Board of Education, Los Angeles Community College District Board of Trustees, and California State Assembly. Opinions expressed are not necessarily those of The Rafu Shimpo.